Winston Wiggins has hundreds of thousands of miles of offshore sailing under his belt. In this two-part series Winston uses his own experience and his numerous encounters with families who have successfully (or unsuccessfully) pushed off the dock for a life at sea. He shares his insights on what it takes to prepare for a successful long-term offshore cruising experience. This series covers what it takes to prepare for long-term off-shore sailing, travelling around the world, and living life confidently at sea. We start two years from your departure date, but in reality there are tasks that must be completed even before then to ensure a successful voyage. Those tasks are related to securing a boat, earning a captain’s license (or equivalent), ensuring you have a partner (or deciding you want to go it alone) and so forth. 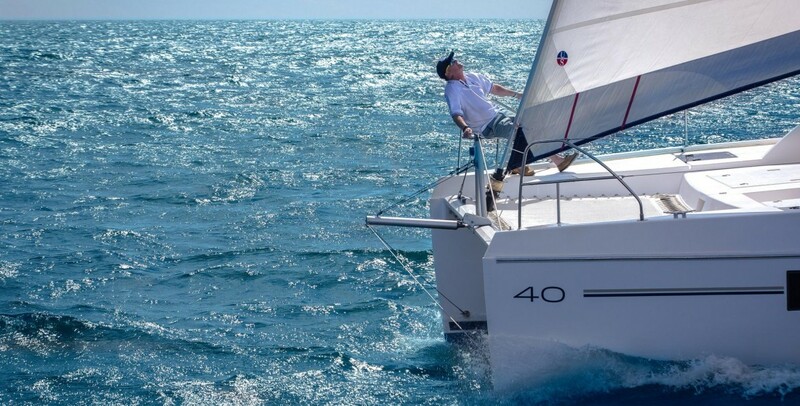 We will start with the assumption that you have a fully functioning vessel, and are both legally and practically able to sail your yacht to various ports. At this stage long-term cruisers can largely be grouped into one of two categories. The first group is made up of individuals who have made this trip their life dream, thinking about destinations and experiences since their mid-20s. The second group includes those who are constantly distracted by the idea of getting away — they need to go, but plan on returning to their current life after a year or two abroad. The long-term dreamer has the best shot of making the voyage a reality and tends to come out closer to budget given the amount of thought they have given the trip, as well as their depth of experience and ability to navigate the ever-valuable cruising forums. The ‘escapees’ on the other hand are more likely to get caught up in the experience, making the voyage more romantic and extravagant; however it should be noted that this often comes with a price tag. Regardless, both have an incredible journey ahead! Define Your Experience: At 24 months from your departure date the most important thing you can do is to define what you want your trip to be like. This is both in broad terms of the experience, activities, level of comfort, etc. And in more specific terms, what you want and expect your yacht to be able to do for you at sea and in port. Thinking through each aspect of the journey is crucial as these decisions will shape your future planning and purchase decisions. A lot of research about your boat and onboard experience is also in order – knowing which systems and tools can help you accomplish your goals, and what instruments are actually compatible and functional on your specific yacht model. Not all systems may be available to you, so planning for that is something you need to do now. Be Specific: Knowing what you want means not just knowing that you want a water purifier and navigation system, but identifying the specific brands and models, the type of communication system, the engine you will be dependent on, etc. You don’t necessarily need to buy the items at this stage, but knowing the options and the differences between them will help you prepare your mind and your budget. Think it Through: If you need to be able to sail with just two people, you will need to have a setup that will accommodate you. If you want to be able to do gourmet cooking, you need a galley designed with that in mind. If getting ashore is especially important, you might investigate how you’ll get there from your yacht. Start writing down all of the pieces required to make your dream trip a reality. Have a checklist for things you need (or want) to buy, topics or purchases you need to consider, and concerns you need to address. While it is great to think about the adventure ahead, it may be easy to think about topics that may put you off course. Don’t watch ‘The Perfect Storm’. Trust us. For the next 2-5 years, do not watch this movie. Don’t get caught up in the details. This is typically where offshore cruisers fall flat. If you are numbering and itemizing all your equipment onboard at 24 months from departure, or creating back up plans for all your back up plans, leaving the dock becomes less and less likely. Don’t worry about finding the perfect crew. Two years away is pretty abstract for most people. If you are looking to have a number of people onboard for the full, or simply parts, of the voyage, you do not need to find them now. But if there is a significant other you are going with, of course they should be as committed as you are. What do you want your yacht to be able to do for you? 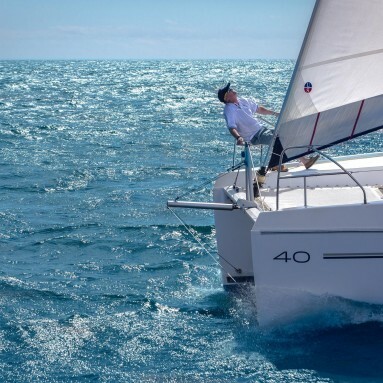 What instruments and systems are best for you and your yacht? What budget do you have for the project? Is it enough to support you? How self-sustainable is your yacht? How dependent will you be on ports? How many years you will be gone? What regions will you be sailing to? A year from your departure you should have clearly envisioned what it is you want; now it is time to get on your boat and learn how to use it. You must practice with all of your equipment and systems to have an idea of how everything will work. Practicing 12 months from departure gives you enough time to work out any kinks, correct misunderstandings about the functionality, and use all the tools you bring onboard. Check Your Boat: Your boat should be 100% ready to go a year from casting off. Theoretically you should have all the equipment you need to launch at this point from electronics systems, safety backup equipment (including an EPERB) and your communication systems (i.e., Sat Phone or Sail Mail) to engines, fuel systems, and the water maker. Everything should be onboard. It is crucial to test and tinker with each instrument until you are totally confident in the equipment’s ability to perform and your ability to use it. With all this in mind, a year from departure is the time when you should start to spend nights onboard to get used to the experience, work out kinks, and develop your habits aboard. At the very least taking overnight trips is a great low-stakes way to ensure everything is working properly and to further develop your “to-do” list. Prepare Your Sails: It is time to start talking to a sailmaker and ensuring you know what kind of sails you want, their advantages and disadvantages, and what you can expect to get out of them on your voyage. There is a significant difference between a comprehensive inventory with sails that are optimized for all points of sail, versus carrying a few, bulletproof sails. Understanding the value of different sails and making your selection is a major decision that your sailmaker can help you navigate. 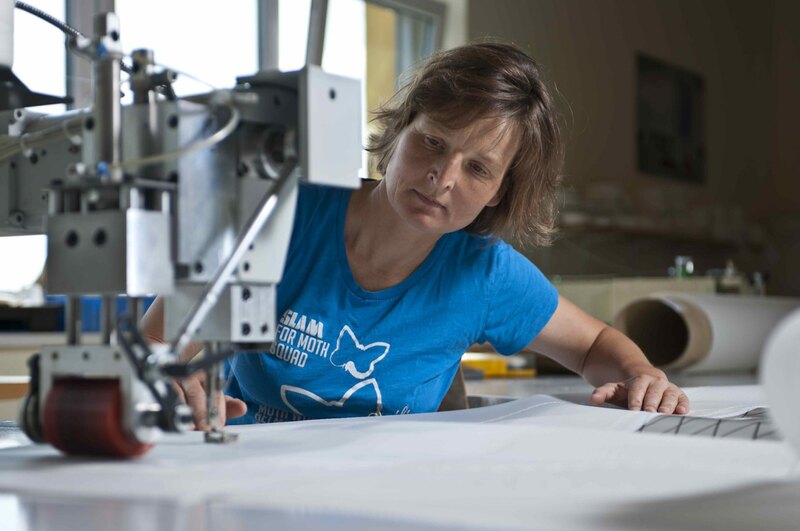 Make sure you work with a sailmaker who is more invested in your trip than simply selling you a sail. A sailmaker should be interested in making sure your sails match the needs, expectations, and budget of your voyage. 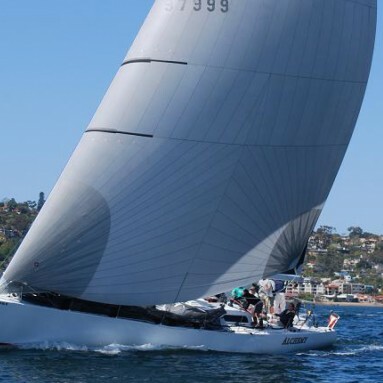 Most sailmakers also have extensive experience, and can prove to be a valuable resource to you in your planning. Plan Your Travel: By now you should not only know which countries and regions you’ll be visiting in the first year, but also have all your visas and logistical paperwork in process or finalized. These documents obviously vary country to country – for some it will mean getting a multiple-entry 10-year visa while others will require simply knowing where you can get temporary visas in port. Also, developing your itinerary and knowing where you want to be (whether a certain set of islands or a specific section of coastline) is a great exercise. It will help you focus your search for the amenities available onshore as well as weather considerations. You should then chart an informal outline of your journey and the likely path you will take. This can be formalized later on, but getting a picture of where you want to be and what you want to do can be very empowering and help move you towards actually leaving the dock! Negative thoughts and people! The dream of packing up your life and goingaway for over a year intimidates many. If someone even talks about how crazy and dangerous it is, ignore their sentiment and don’t discuss this topic with them! Getting too caught up in the details. You don’t need to know the specific harbor or mooring buoy that you’ll be using. Maintain the ability to be flexible in your plans. Remember, however, that flexibility doesn’t mean laziness. Ensure you know what options are available to you in the areas you’re visiting. Do you have all the equipment you think you’ll need? Do you know how to use everything on board? Have you tested each tool to the point of having confidence in how it works? Do you know where you’re going for the first year of your trip? Do you have someone in mind for joining you on this adventure? Have you invited them? What will happen to all of your possessions while you’re away? With a year to go you are well on your way to setting off! In Part II of this series, Winston looks at what you should think about six months, three months, and the day of your departure, including some last-minute tips to make sure you actually leave the dock! 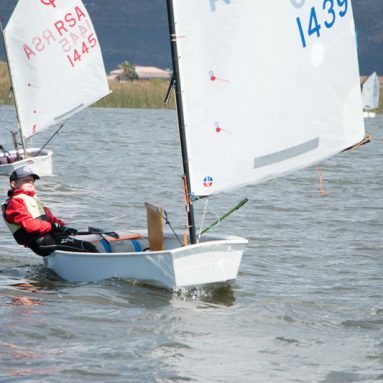 A native South African, Winston grew up in a very active sailing family and has been aboard boats since he was five. 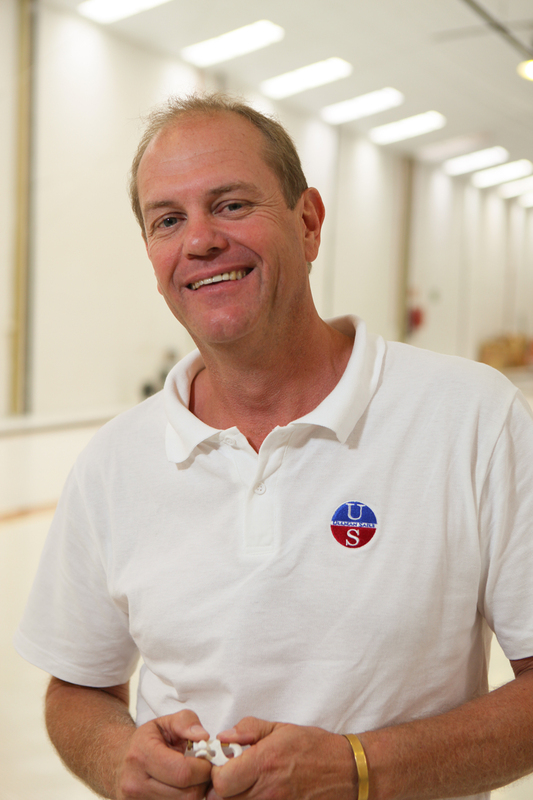 Having worked in many parts of the yachting industry, including building boats, coaching, sailing professionally, and doing many long distance yacht deliveries, Winston’s experiences have made him an authority on offshore sailing and how to travel safely abroad.